Interior Designers & Decorators in Greenwich, New Cannan, Darien, Westport, & beyond. Sandra Oster, ASID Award Winning Designer & Founder of the luxury designer curated consignment boutique, DecoratorTagSale.com, pushes the boundaries of interior design. Her projects conclude in a truly unique and distinctive home that is luxurious, yet livable. Sandra’s artistic background provides a distinctive value to her clients. Her one-of-a-kind approach is achieved through her custom designed lighting, furniture, carpets, wall finishes, hardware, etc. If she can’t find it, she’ll create it. And even if she can find it, she may decide to recreate it with a twist. Sandra’s intimate approach and attention to detail allow for an artistic relationship to happen naturally with her clients. Her mantra has always been about paramount customer service and listening to every detail. 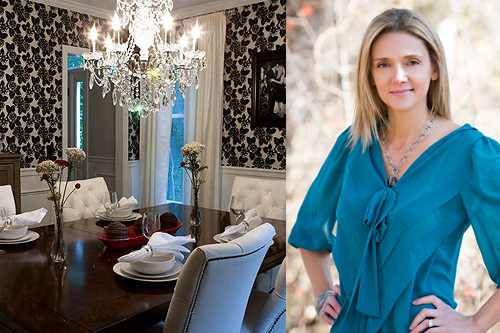 Olga Adler is an award-winning interior designer and creative director of Olga Adler Interiors in Westport, Connecticut. Her work and expertise as both a designer and style maker have been featured in numerous magazines and in designer show houses, including Mr. Albert Hadley’s 2011 Rooms with a View. She is the winner of the 2010 “40 Under 40” award and 2012-2013 “Best of Houzz” awards. 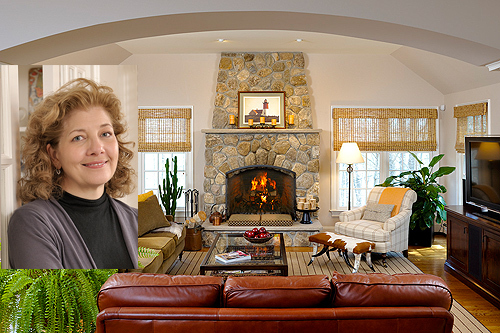 Olga was named one of CT Cottages & Gardens “Designers You Should Know” and East Coast HOME + DESIGN “Designers We Love”. 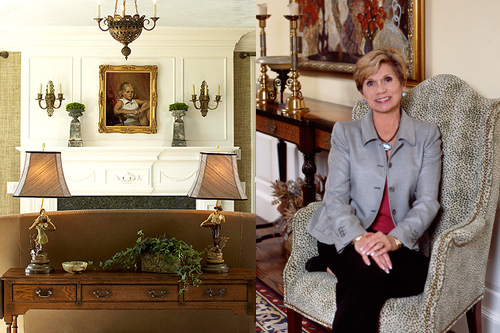 In addition to full service interior design, Olga Adler offers an array of decorating services. 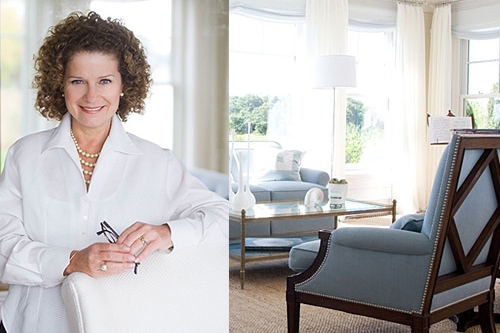 Westport Interior Designer Robin McGarry has over 30 years of experience in residential and commercial design serving Connecticut, New York, and Southwest Florida. Her firm, Robin McGarry and Associates is highly respected by architects and contractors for their ability to work well with them as part of the team required to successfully create a successful project. Their success is based on having a keen eye for detail, professionalism, and the ability to listen to the clients' needs to make their dreams a reality. Robin's work has been featured in numerous magazines. She has also successfully passed the NCIDQ (National Council for Interior Design Qualification) and is qualified to be licensed in any state. Greenwich Designer Victoria Lyon was chosen to decorate The Philip Johnson Modern House and The Victor Christ-Janer House for modern house tours in New Canaan, Connecticut. 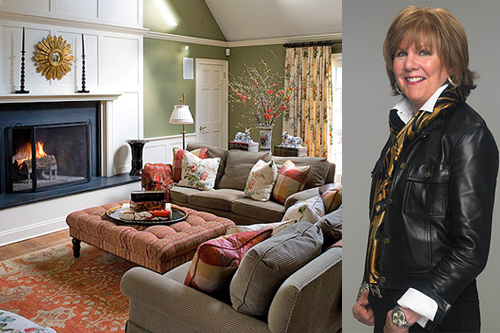 She was also a featured designer in the Greenwich Designer Show House: “Summer Days at Merrywood”, The Shippan Designer Showhouse, and The Bartlett Arboretum Designer Showhouse. Victoria brings her personal warmth, attentiveness to detail, humor and wisdom to the fine art of project management, satisfying client expectations. In a space designed by Victoria Lyon, Life becomes Art. 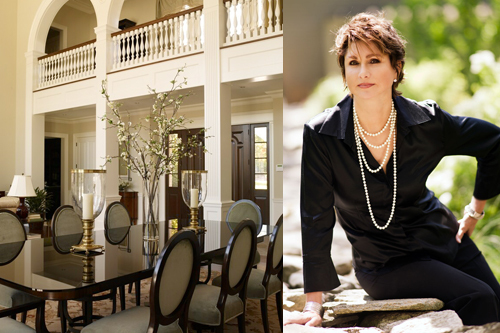 LRI — Linda Ruderman Interiors, Inc.
Greenwich, Connecticut Designer Linda Ruderman has created residential and commercial interior designs throughout the United States for over 25 years. With expertise in Classical Interiors, Linda prides herself on her attention to detail and her ability to interpret classical models for today’s lifestyles. Her success is due to her uncanny ability to make a design look as though it has always been in its environment. She is equally adept at both classic and contemporary design, and is equipped to handle any challenge. 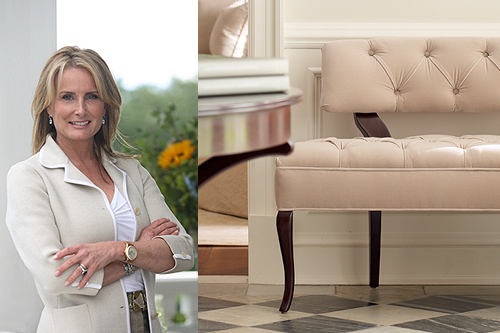 Linda’s design philosophy is to create classic and timeless interiors for modern day living. 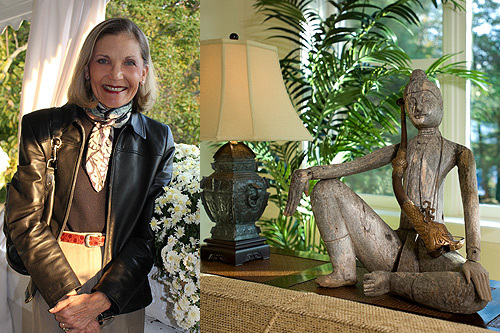 Sandra Morgan is a well-known interior designer with a studio, retail shop, and art gallery in Greenwich, CT and a satellite office in Vero Beach, FL. Her work has been published in House Beautiful, Design Times, Connecticut Cottages and Gardens, Greenwich Magazine, and the cover of Vero Beach Magazine. Sandra has also been featured in Showcase of Interior Design, Design Sense by Linda Blair, Make It With Style by Donna Lang, and Bedrooms by Chris Madden. Over the years, Sandra has been invited to participate in several show houses including ''The People's Project'' Governor's Residence and ''Rooms With A View'' with Albert Hadley. In addition, Sandra received the ASID Award for Excellence in Retail Design for SM Home, her beautiful retail shop in Greenwich. 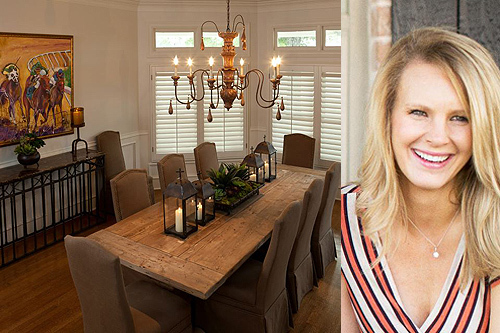 Elissa Grayer Interior Design is an award-winning, high-end, full service design firm. Elissa Grayer has been involved planning, design, and project management since 2001. She strives to create beautiful and functional spaces that reflect each individual client in an elegant and comfortable way. Elissa is a winner of the "Westchester Home Design Awards" and has been featured in East Coast Home + Design Magazine and Westchester Home Magazine. Her work has been displayed in The Seven Oaks Greenwich Showhouse, The Westchester Showhouse, Pink Aid, and The American Red Cross Red & White Ball. 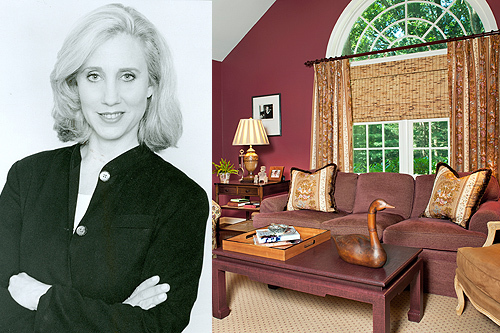 Westport, Connecticut Interior Designer Connie Cooper specializes in client-centered work. With an imaginative eye, she guides her clients in expressing their own taste rather than imposing a signature style. A color expert, she has advised manufacturers on trends in color and design. Her travels throughout Asia have nurtured her eclectic approach and broad perspective. 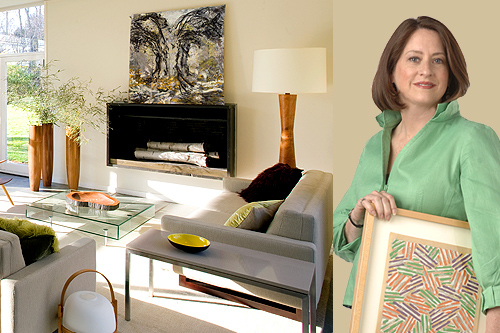 Her work has been featured in showhomes and in publications. Connie was featured in the Chimneys Designer Showhouse, Albert Hadley's Rooms with a View, Pink Aid, The American Red Cross Red & White Ball, and East Coast Home + Design Magazine's “Designers We Love”. Mary Kathryn Marx is the founding Principal and owner of Marx & Company Design LLC, a full service interior design firm. Her elegant decor accents individuality, style, sophistication, and comfort. Inspired by each client's personality and design dreams, Marx creates liveable and luxurious environments which celebrate timeless style through a highly informed sensibility of very fine interior design. All services are professionally under one roof. For example, Marx and her colleagues are highly skilled with CAD, space planning, material and finish selection, photoshop, rendering, and concept development. All put forth with a highly educated and creative design approach, it is for this reason that Marx is one of the fastest-rising interior designers of her generation. Cathy Glass Design Associates thinks creatively, with a modern flair, while retaining respect for classic styling. Cathy is adept at incorporating the most current contemporary trends or designing traditional interiors to suit every client’s individual taste and lifestyle. Her interior designs are award winning but, most importantly, they are comfortable, exciting, and make each homeowner’s dream become a reality. Cathy Glass was the first Northeast designer to be chosen from the Home & Garden network’s Designers’ Challenge. Her interior renovation of a Wilton home was continuously aired on HGTV Home & Garden Television. The firm also received a HOBI (Home Builders Industry Awards) for “Best Interior Design” in CT.
Color Concept Theory is a full service interior design firm focusing on residential and corporate design. 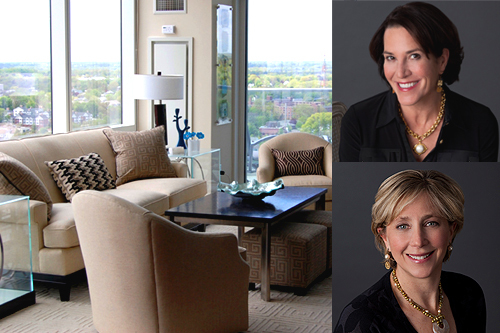 Jody Myers-Fierz loves all aspects of interior design but thrives on transformations. She likes to push the design process by designing spaces with a little edge. Jody is very versatile and has designed all area's of design styles-traditional, contemporary, and transitional. Her focus is to create a space that brings out her clients personality and style. She guides and develops a concept for clients that want a change but not sure what that is. Jody received her BFA at The School of Visual Arts, then continued to receive all the important aspects of her career which include her certificate for LEED ID&C and NCIDQ. Color Concept Theory services all of Fairfield County as well as Upper Westchester County. The firm is licensed and insured. LaBella Spaidal Interiors love what they do and it shows. From modern traditional, to casual contemporary, to wordly eclectic, they work in all genres. Their expertise is listening to your desires and exceeding your expectations with an array of furnishings, fabrics, and finishing touches to provide you with that “Wow" factor. 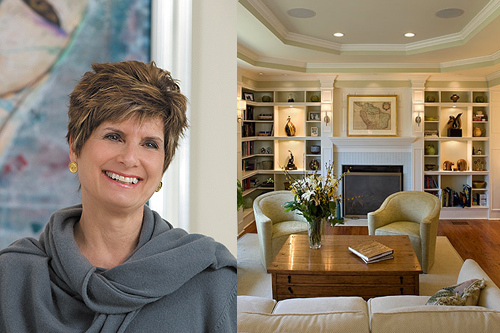 Deb LaBella, President of Interior Design Society, Connecticut loves to come up with creative design ideas and see them come to life. Dina Spaidal is known to be a master at finding the best value for clients, her experience and attention to detail ensures each project is managed to perfection. LaBella Spaidal is a full service interior design, decorating, and home staging company. Diana Sawicki Interior Design (DSID) is a full-service residential and commercial interior design firm based in Westport, Connecticut. Diana’s portfolio includes numerous residential and select commercial projects throughout the U.S., including Connecticut, New York City, Martha’s Vineyard, Florida, Telluride, and more. Her work has been published in House Beautiful, Traditional Home, Connecticut Cottages & Gardens, and many other books and publications. Greenwich, Connecticut Interior Designer Lynn Garelick has been an accomplished residential interior designer for the past 30 years. She has created a diverse collection of interiors that reflect her clients’ personalities and tastes. These interiors span a broad array of styles, from American and European traditional, to Far Eastern and South Pacific, to Country and Contemporary. Lynn has completed several renovations and/or additions to homes, condominiums and apartments in Fairfield and Westchester Counties and New York City. 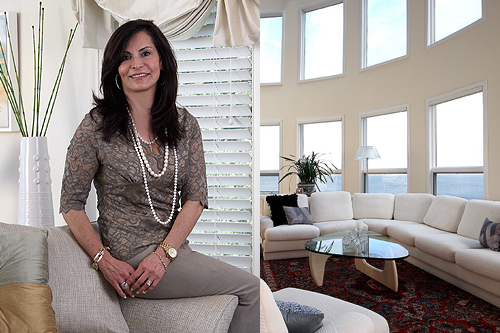 She was a featured Designer in the Greenwich Designer Showhomes, and the Westchester Designer Showhouse. 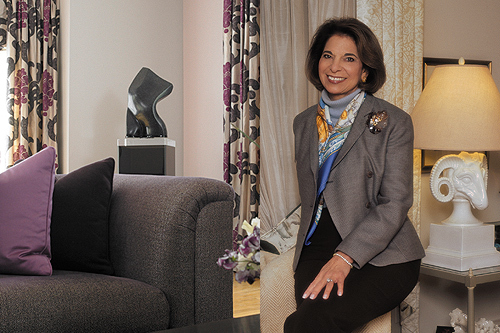 Lynn is the President of the American Society of Interior Designers (ASID). Designer Judi Egbert is known for creating rooms that are traditional and gracious, having great warmth and comfort, as well as elegance and sophistication. Judi pays great attention to detail, and specializes in bringing spaces to life through her choice of colors, furnishings, and textures, harmonizing them into timeless rooms that age gracefully. Judi was featured in the Shippan Designer Showhouse where she designed the outdoor balcony, as well as styling the kitchen. One Judi Egbert's fields of expertise is in "Baby Nursery Designs". 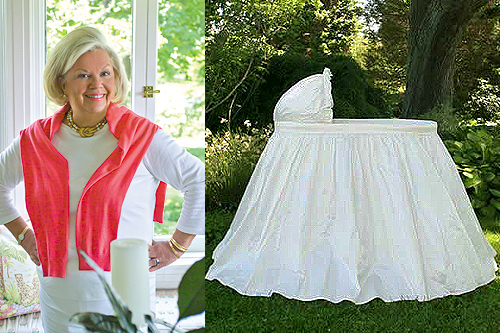 She creates whimsical and charming rooms for baby boys and girls which include beautiful crib linens and bassinets available through the preeminent Lulla Smith. Soudi Amini offers the expertise and wisdom of an architectural and interior designer with over 20 years of experience designing a broad variety of projects in Connecticut and New York. Soudi helps clients clarify their needs and realize their vision in all phases of design and construction from conception to completion. She combines elements of design from her extensive travels and unites both past and present through mixing period and contemporary pieces. Her imaginative mixes of color and texture work together to provide clients with livable, relaxing, and sophisticated spaces. Soudi holds a degree in Architecture and Interior Design and is an Allied Member of The American Society of Interior Designers (ASID). 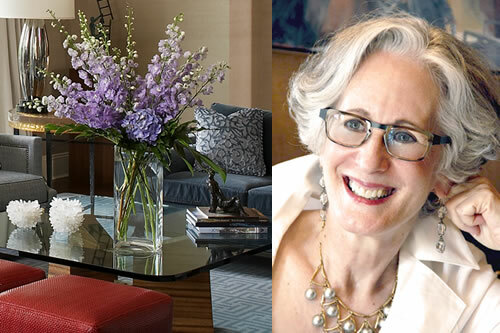 With her trademark upbeat and can-do attitude, Greenwich Connecticut ASID Interior Designer Kathi Gernat has made a name for herself as a talented and creative designer who has fun with the process. Kathi’s designs are both modern and traditional, yet comfortable and elegant. They are personalized for each client, always based on their needs, wants, and budgets. Kathi Gernat’s projects range from single room decorations to complete renovations. Beth Rosenfield Design, LLC is a Best of Houzz award winner for design and customer satisfaction. 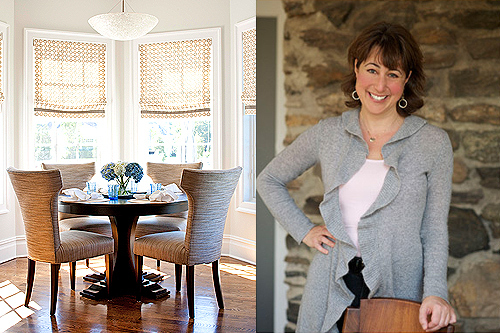 She was named a "Designer You Should Know" by CT Cottages & Gardens Magazine. Beth Rosenfield is a pro at envisioning your space. She listens to your desires and translates them into smart and polished interiors that enhance the value and enjoyment of your home or office. Whether Beth is managing a complex renovation or making small changes, your finished spaces will feel comfortable, classic, refreshingly modern, and personally satisfying. Beth has 15+ years of project and management experience. Her portfolio includes diverse projects in both residential and commercial spaces. She is an Associate Member of the American Society of Interior Designers. 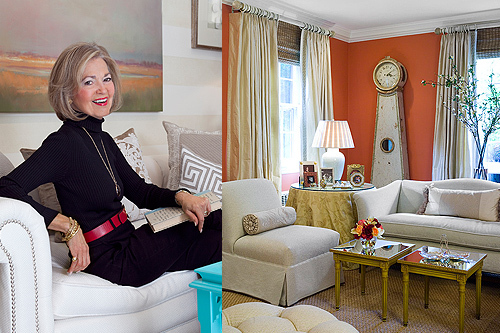 Leslie Dean's forté is creating stylish, timeless, and comfortable interiors. With over twenty-five years of experience designing residential interiors, she believes that good design is all about the details and that architecture and interior decoration must work together harmoniously. Leslie listens carefully to her clients to ensure that their tastes, styles, and needs will be reflected in her designs. In addition to interior design services, Leslie offers consulting, space planning, kitchen and bath design, custom upholstery and furniture design. She also coordinates the installation of fine wallpapers and window treatments, as well as decorating creatively with unique accessories. Eileen feels that the use of eclectic solutions is very important. Her infusion of design styles achieves a unique result by effectively mixing classic lines with contemporary shapes, color, and texture. She blends existing items into new design schemes, incorporating function with style. Her projects include both commercial and residential work, and her experience is global. Julianne Stirling has been creating home interiors that are personal and unique. Her forte is discovering their clients' tastes and developing those likes into a wonderful style all their own. 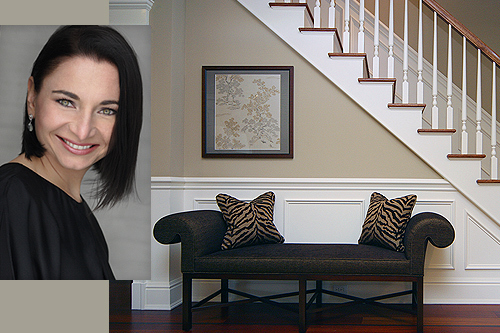 Julianne is a Past President of (ASID) the American Society of Interior Designers Connecticut Chapter. Her designs have appeared in local and national magazines. She has been featured on HGTV's Designer's Challenge and one of her kitchen projects was selected from a thousand entries as a regional winner in Sub Zero's National Kitchen Design Contest. The Interior Designers and Decorators presented on this site work hand-in-hand with architects, builders, and cabinet makers, coordinating all aspects of new construction and remodeling. Their design scope includes: kitchens, bathrooms, built-ins, furniture layouts, and lighting plans. They can help you in the selection of fabrics for upholstery and window treatments, plus all accessories including artwork, lamps, sheets, towels, dishes, etc. They work in both contemporary and traditional styles and even mix the two. They will work with you on your entire home or just one room at a time. If you would like to be considered for this directory, please call (203) 304-2074.